MCR Safety's glasses are designed to provide solution-based eyewear protection. This brand is distinguished with application based, stylish design elements and superior coatings for work and play. The Hydroblast® goggle features a unique co-injected super soft TPR seal that allows for better, yet more comfortable fit. The low profile athletic design and 7-Point Ratchet action temple allow for all day comfort and adjustability. The Hydroblast® are indirect vented and dielectric which are often used in chemical environments. It is available with adjustable hook and loop elastic strap or adjustable rubber strap. 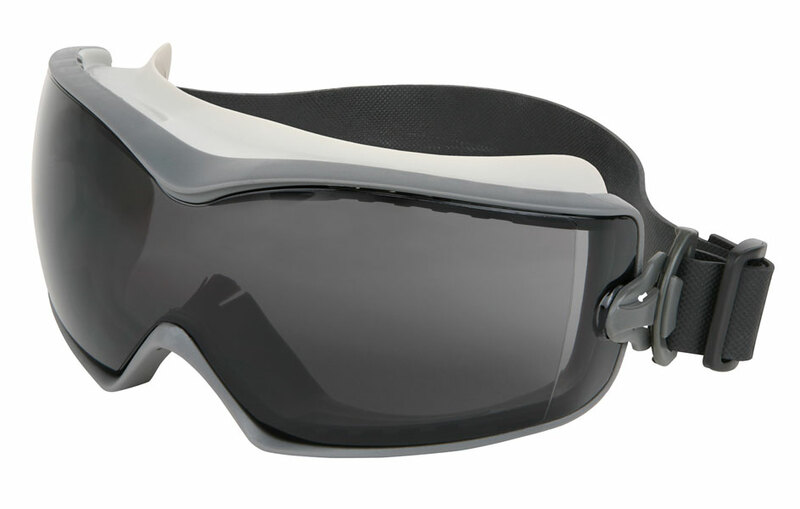 The Hydroblast® goggle is available with Clear AF, Gray AF, Clear MAX6™, or Gray MAX6™ lens options.